Look for our Difference Makers to be announced over the fall — sign up for the stories! CAMH Difference Makers is a national movement to nominate and celebrate 150 Canadians making a difference in mental health. You can join CAMH in celebrating the significant progress being made in Canada to improve diagnosis and treatment, and to break down the stigma around mental illness and addiction. Nominate a person with lived experience, a caregiver or family member, a health professional, a researcher, an advocate, a philanthropist... or nominate a Canadian defying categorization but who is making a difference in small and big ways; in local or international circles; in public or private lives. Do you know someone making a difference in mental health? Does your neighbour research brain function to better understand the biological causes of mental illness, showing you the power of innovation and science to advance understanding? Is your friend open about his/her experience with bipolar disorder, showing you the power of dialogue when it comes to breaking down stigma? Is an Indigenous leader in your community helping improve access to culturally safe mental health care, showing you the value of diversity and inclusiveness? Does your family doctor help women identify and manage their postpartum depression, showing you the power of empathy and sharing the right information? Does someone in your community inspire others by raising money or pushing for access to important social supports, showing you the power of leadership and working together? There are so many other powerful and exciting ways in which Canadians are making a difference in mental health. The Difference Makers movement is a partnership of the Centre for Addiction and Mental Health, Morneau Shepell, the Globe and Mail, and Boston Pizza Foundation, and is made possible by Harry and Shirley Young Family Foundation. It's Canada's 150th birthday: this is the year to lead change. You can include other materials that provide more insight into your nominee’s accomplishments. 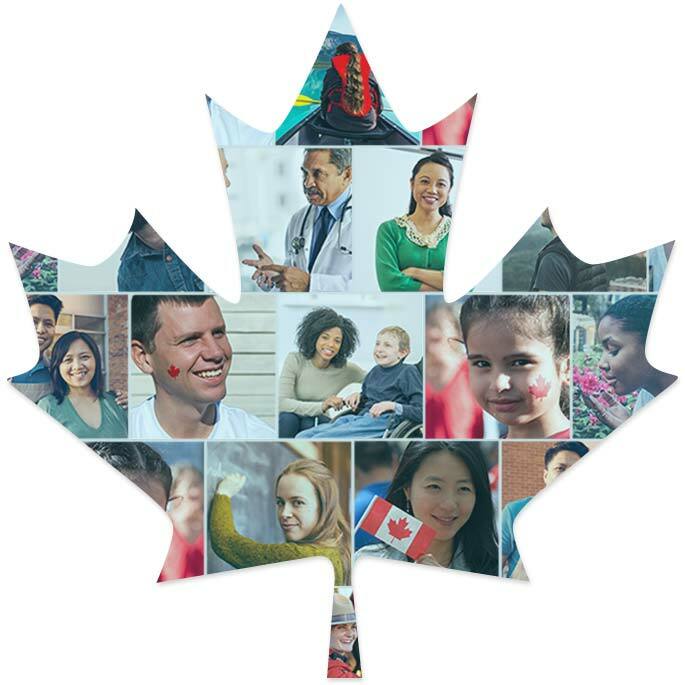 We strongly encourage nominations for Canadians representing the full diversity of our country. We hope to receive nominations from across Canada for people of all genders, sexual orientations, ability levels, racial or cultural identities, and the many other dimensions of diversity nominators and nominees may wish to identify in their nominations. The deadline is midnight pacific time Canada Day, July 1, 2017.
someone who is a difference maker for mental health in his or her community. The nominations' committee will review all nominations and will recommend to the national committee the 150 Canadians who best represent the country, our diversity and the variety of stories about the difference and the progress we are making in mental health. Selected nominees and their nominators will be contacted to confirm their inclusion in the list. The national committee will review and announce the final list. The 150 Leading Canadians for Mental Health will be celebrated across the country in December 2017. Sandi Treliving is a dedicated philanthropist, an advocate for mental health, a supporter of Canadian arts and culture, and a champion of healthy living and the advancement of women in sport. These passions, skills and beliefs are matched with a wealth of knowledge and expertise gained from her successful 17 year career in retail banking. Like many Canadians, Sandi has been directly impacted by mental illness, which inspired her to dedicate her time and resources to various mental health initiatives. In 2014, she became a Director on CAMH Foundation's Board. 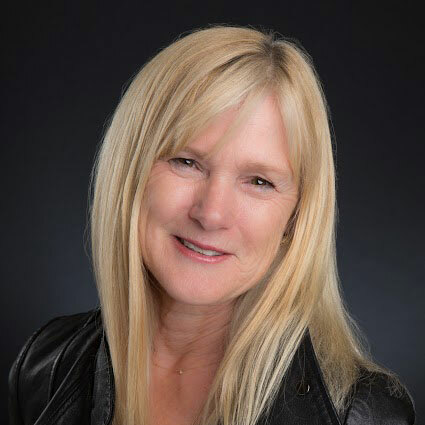 Since joining the board, Sandi has headed various initiatives, including Co-Chairing CAMH's signature event UnMasked in 2015 and 2017, contributing as a committee member for the Transforming Lives Awards, and in an ongoing capacity as Campaign Advisor for CAMH's $200-million Breakthrough Campaign, Canada's largest hospital fundraising campaign for mental health. The impressive and ambitious work Sandi is contributing to the mental health field is matched by her strong advocacy for the advancement of women in sport, physical health and well-being. Sandi is a National Champion for the Trans Canada Trail, a project that inspires community, active living and celebrates our nation's beauty from coast to coast, connecting over 1,000 communities. She also serves as a Director for the Canadian Women's Hockey League, where women compete at the highest level in Canada's national sport. Sandi is a strong supporter of the arts and culture and is passionate about showcasing Canada's talents on a global stage. This is highlighted through her committee work with Talent Fund Canada and the Governor General's Performing Arts Awards Foundation. Sandi's drive and determination is matched only by her generosity and vision. Jim Treliving is chairman and owner of Boston Pizza International Inc. (BPI), where he sets the corporate strategy for Boston Pizza, Boston's The Gourmet Pizza Restaurant and Sports Bar - Boston Pizza's U.S. and Mexico division - and for several other businesses in which he has invested. Starting from a single restaurant franchise in 1968, today Jim’s businesses have operations throughout North America in the retail, manufacturing, real estate and service sectors with annual system-wide sales exceeding $1 billion. Jim is the Chairman and Owner of BPI and previously held senior roles with the company including president and chief executive officer. Prior to acquiring BPI, Jim was a multi-unit franchisee of Boston Pizza with 18 full-service restaurant locations in British Columbia. Jim was born and raised in the small town of Virden, Manitoba. At eighteen years old, he joined the Royal Canadian Mounted Police and served on the Force for nine years, in British Columbia and Alberta. After trying pizza for the first time in a restaurant in Edmonton, Jim thought he might try his hand at business. Jim took the leap and opened the very first Boston Pizza franchise in Penticton, British Columbia in 1968. Jim has since grown the operation from one location to more than 400 restaurants across North America and has invested in many other successful businesses in Canada and the United States. Jim and Boston Pizza, have been recognized over the years with several prestigious awards including "Canada's 50 Best managed Companies Platinum Club", "Canada's 10 Most Admired Corporate Cultures", the Henry Singer Award from the Canadian Institute of Retailing and Services and, most recently, the Canadian Franchise Association's Lifetime Achievement Award. In addition to his professional responsibilities, Jim is active in giving back to the community. He has been a director of the Boston Pizza Foundation since its inception in 1990 and has helped raise and donate more than $24 million to Canadian charities over that time. Jim has also served on a number of volunteer boards including Chairman of the Hockey Canada Foundation, the David Foster Foundation, the Jays Care Foundation, and he is actively involved as an Advisor to the Centre for Addiction and Mental Health (CAMH). Currently, Jim stars as one of the five Dragons on CBC's reality TV show, Dragon's Den, where aspiring entrepreneurs secure a financial investment from the Dragons to start their own business. In 2012, Jim published "Decisions - Making the right ones and righting the wrong ones" a best-selling business book for aspiring entrepreneurs published by Harper-Collins. A proud Newfoundlander, Louise started her career as a registered nurse in Corner Brook, Newfoundland, where she discovered an immediate passion for mental health. Louise's work has taken her across the country, where she has held a range of positions across the health sector. From front-line nursing, to forensic and corrections care, to research, teaching, and large-scale hospital administration, Louise has seen mental health issues on the ground and at the highest administrative level. Louise became President and CEO of the Mental Health Commission of Canada in 2010 after serving as Senior Operating Officer for the University of Alberta Hospital, one of Canada's leading clinical, research and teaching hospitals. She holds degrees from Dalhousie University and Northeastern University in Boston, where she received a Master of Science with a specialization in mental health. She also received a Psychiatric Nursing Diploma with clinical practicum at Memorial University of Newfoundland's Harlow campus in Essex, England. In June 2015, the Canadian College of Health Leaders presented her with the Innovation Award for Health Care Leadership for her work with the MHCC in encouraging future mental health pioneers. She was also given the Queen's Diamond Jubilee Medal in 2012 for her outstanding contributions to Canadian mental health. In her years of work, Louise has heard from hundreds of Canadians living with mental illnesses. Their stories are her inspiration to spark leading and lasting change for mental health care in Canada. After a 33-year career with BMO Financial Group, Bachand retired as Vice-Chairman and Head of BMO Capital Markets, Québec, in October 2016. Bachand holds a Masters degree in Business Administration, from Concordia University and a Bachelor's degree in Business Administration from the École des Hautes Études Commerciales, in Montréal. He is a Fellow of the Institute of Canadian Bankers and is a Certified Director from the Institute of Corporate Directors of Canada. He serves on the Board of Directors of Cominar Real Estate Investment Trust, the Mental Illness Foundation, the Institute of Corporate Directors - Quebec Chapter, the École des Hautes Études Commerciales (HEC) and the J. Armand Bombardier Foundation. He also served on the Board of UHC Sainte-Justine Hospital, IIROC (Investment Industry Regulatory Organization of Canada) and the Montreal Exchange. Sheldon Kennedy won a Memorial Cup, World Junior Gold Medal and played for three teams in his eight-year NHL career. He is best known for his courageous decision to charge his Major Junior Hockey league coach with sexual assault for the abuse he suffered over a five-year period while a teenager. Through this disclosure, and the important work Sheldon continues to do, he has become an inspiration to millions of abuse survivors around the world. Sheldon has been instrumental in bringing governments, public and private sector partners together to work collaboratively to influence policy change and improve the way child abuse is handled. He has influenced changes in Canadian law and has taken his message to the International Olympic Committee and the U.S. Senate. For his initial bravery and ongoing efforts, Sheldon has received numerous honourary degrees and awards including the Order of Manitoba, Alberta Order of Excellence and the Order of Canada — Canada’s highest civilian honour that recognizes outstanding achievement, dedication to the community and service to the nation. Sheldon is the Lead Director at the Sheldon Kennedy Child Advocacy Centre, the first-of-its-kind in Canada, offering full wrap-around services for victims of child abuse. He is the Co-Founder of Respect Group, which provides empowering online abuse, bullying and harassment prevention education to sport organizations, schools and the workplace. 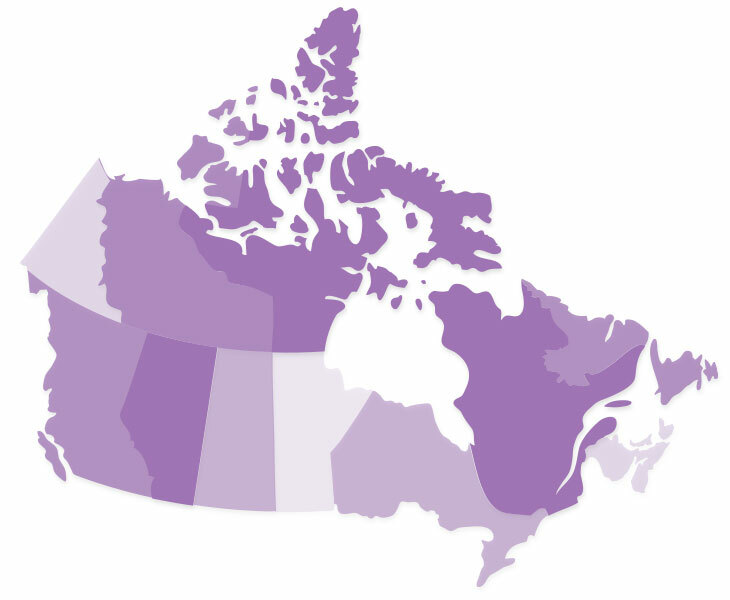 Mary Simon, OC, QC, comes from Kuujjuaq, Nunavik and was born in Kangiqsualujjuaq, Nunavik (Arctic Quebec). She is past president of the Inuit Tapiriit Kanatami, the National Inuit Organization (2006-20012). She has recently completed her term as Chairperson of the National Committee on Inuit Education with a mandate to implement a comprehensive national strategy, aimed at improving Inuit educational standards and achievements (2012-2014). She has advanced critical social, economic and human rights issues for Canadian Inuit regionally, nationally and internationally. Over four decades she has held senior leadership positions including, President of Makivik Corporation (a Land Claims Organization for Inuit of Nunavik), President of the Inuit Circumpolar Council, Canadian Ambassador for Circumpolar Affairs as well as to the Kingdom of Denmark. She is the founding Chair of the Arctic Children and Youth Foundation. During the past two years, Simon has led the implementation on the 10 recommendations contained in First Canadians, Canadians First, a National Strategy on Inuit Education. She has worked closely with education jurisdictions in Inuit Nunagnat. Simon also led Canada's negotiations during the creation of the eight Nation, Arctic Council in the mid-1990's. The Arctic Council includes the Indigenous Peoples of the Circumpolar Region as Permanent Participants. She is an Officer of the Order of Canada, Recipient of the National Order of Quebec, the Gold Order of Greenland, the National Aboriginal Achievement Award, the Gold Order of the Canadian Geographic Society, the Symons Medal, and the Governor General's Northern Award. She has been inducted into the International Women's Hall of Fame. She is a Fellow of the Arctic Institute of North America and of the Royal Canadian Geographic Society. Simon has also received many other distinctions including 11 honourary doctorates of Laws from Canadian Universities (McGill, Guelf, Trent, University of Alberta, Memorial, Carleton, Queens, Loyalist College, Mount Saint Vincent, University of British Columbia, and University of Victoria.) She also served as Chancellor of Trent University. In 2013, Simon received recognition as a nation builder from the Famous Five. She was recently honoured by the Public Policy Forum for her contributions to public life, public policy, and governance in Canada. She is also an Honourary Witness for the Truth and Reconciliation Commission. She is a recent recipient of the CCAB/SODEXO Award for "Excellence in Aboriginal Relations. Most recently, Simon was actively involved in the creation of "Canadians for a New Partnership". She is the Co-chair of the Board of Directors. Dr. Ladha is a forensic psychiatrist and has practised forensic and general psychiatry since 1974. He is a past-president of the Canadian Psychiatric Association and an inaugural distinguished fellow of the Canadian Psychiatric Association. A native of Tanzania, he studied medicine at the Royal College of Physicians and Surgeons in Ireland. He trained in general and forensic psychiatry at Memorial University of Newfoundland and at the University of Toronto. Dr. Ladha served as a committee member of the Law Reform Commission of Canada to develop a national uniform mental health act. He served as Vice-Chair of the Advisory Council on Mental Health to the Minister of Health and Community Services in Newfoundland and Labrador for 11 years. Dr. Ladha was also a committee member for the development of the Mental Health Care and Treatment Act for the province. Dr. Ladha was an Associate Professor of Psychiatry at Memorial University's Faculty of Medicine and taught forensic and general psychiatry for 32 years. He has appeared in courts in Newfoundland and Labrador and in Ontario as an expert witness more than 500 times. Dr. Ladha is often called upon to speak on mental illness by the media and various community organizations. An active sailor, he is a Past Commodore of the Royal Newfoundland Yacht Club and has raised funds for junior sailors and community initiatives of the Rotary Club of St. John's. Currently, Dr. Ladha continues to practise forensic and general psychiatry and teaches psychiatry in St. John's, where he has lived for 45 years. No stranger to television audiences, Mary Walsh may be best known for her work on This Hour Has 22 Minutes, CBC’s wildly popular take on current affairs. The series, which she also created, earned her many of her numerous Gemini awards and showcased her dynamic range of characters, including the flagrantly outspoken Marg Delahunty. Walsh wrote, produced and starred in the Gemini award winning Hatching, Matching and Dispatching, and was nominated for two Genies for her performances in feature films Crackie (Official selection at TIFF) and New Waterford Girl. Walsh’s recent credits include CBC’s Republic of Doyle, Global's Rookie Blue, and HBO Canada’s Sensitive Skin, for which she was nominated for a 2017 Canadian Screen Award. Select feature film credits include Mambo Italiano; The Divine Ryans with Pete Postlethwaite; Violet, in which she played the title role; and most recently The Grand Seduction and Closet Monster (Official selection at TIFF 2014 and 2015, respectively). Mary is also an outspoken advocate for mental health and addiction awareness. Among the many charities and organizations she supports are the Wabano Centre for Aboriginal Health in Ottawa, the CNIB, St. Joseph’s Hospital and CAMH. Among her many awards and doctorates, Mary is also the recipient of the Order of Canada and the Governor General’s Lifetime Achievement Award in the Performing Arts. Powers is also a media commentator, appearing frequently on CBC's Power and Politics. He hosts a current affairs program for VOCM in Newfoundland and Labrador called The Tim Powers Show. He writes for the Hill Times newspaper in the nation's capital. He is Chairman of Rugby Canada, Lead Director for Park Lawn Corporation and a member of the Board of Trustees for CAMH. The Honourable Margaret Norrie McCain was born October 1, 1934, in northern Quebec. Her father was a prominent mining engineer in the early days of the Quebec gold mining industry and her mother was Senator Margaret Norrie of Truro, N.S. McCain received her early education in public and private schools in Quebec, Nova Scotia and Ontario. She received a Bachelor of Arts degree with Honours in History from Mount Allison University, Sackville, N.B., and a Bachelor of Social Work from the University of Toronto. She has been presented with Honourary Degrees from a number of prominent Canadian universities. Throughout her career, McCain has been active in organizations that promote education, music and the arts at the provincial and national levels. She was a member of the Mount Allison University Board of Regents from 1974 to 1994 and served as Chancellor of the University from 1986 to 1994. She is a founding member of the Muriel McQueen Fergusson Foundation in New Brunswick, which is devoted to the elimination of family violence through public education and research. McCain chaired its capital campaign to endow a Family Violence Research Centre in partnership with the University of New Brunswick. In 1955 she married entrepreneur G. Wallace F. McCain of Florenceville, N.B. who died in 2011. They have four children and nine grandchildren. On April 28, 1994, Margaret Norrie McCain was appointed Lieutenant-Governor of the Province of New Brunswick, becoming the first female to hold this position. She served in that role until April 1997. At that time she moved to Toronto to re-join her family. Margaret McCain was a member of the Board of the National Ballet School for 18 years serving as Board Chair from 1998 to 2000. She then went on to Chair the School's successful $100-million fund raising campaign. She is currently Chair of the Margaret & Wallace McCain Family Foundation. The mission of this Foundation is to champion effective early childhood programs across Canada that provide equal opportunities for all children, align with the school system and operate within a provincial or territorial framework. In April 1998 McCain was appointed by the Secretariat for Children, Province of Ontario, co-chair of the Early Years Study. In 2002 she co-chaired a commission on Early Learning and Child Development for the City of Toronto. She has participated in numerous early child development policy and program initiatives in Canada and is frequently asked to speak at conferences, seminars and meetings across the country. Dexter is a noted public speaker and mental health advocate in Canada. After being hospitalized at the end of his third year at university, Dexter decided it was time to finally open up about what he was silently living with. With a belief that masculinity must be redefined in its relationship to mental health, he's shared his story with fellow Canadians from coast-to-coast-to-coast. He believes our individual stories are what serve to strengthen us, and contributed his story to Olympian Clara Hughes' national mental health documentary (Clara's Big Ride) and was one of this year's Bell Let's Talk spokespeople. Dexter is a former Tedx speaker who presented at a joint session of the World Bank and WHO last year on behalf of mental health non-profit Jack.org, and was chosen as one of the Canadian Alliance on Mental Illness and Mental Health's 2016 Faces of Mental Illness. Dexter is a contributor to U.S. based online health blog The Mighty and also sits on the board of Ottawa based non-profit, Voice Found. Rose Chedrawe lends her time and talents to a variety of organizations in her hometown of Halifax. She served a three-year term on the Mount Saint Vincent University Board of Governors. She has volunteered on several committees fundraising for the Art Gallery of Nova Scotia, Alzheimer Society of Nova Scotia and most enjoyably she was the chair of a major fundraising event for the Nova Scotia Mental Health Foundation — Festival of Trees. When she is not working with her husband Danny at his real estate business or helping him strategize fundraising efforts, she can be found running a beautiful household for their three children Amanda, Emily and Alec. Together Danny and Rose recognize the importance of changing the stigma surrounding mental illness and look forward to a city, country and world that better manages mental health. Danny Chedrawe is a real estate developer living in Halifax where he is President of Westwood Developments and Anchor Group (Atlantic). His companies have been operating for over 25 years constructing and managing multi-residential buildings, condominiums and commercial properties. Danny believes a well-planned development can have a positive impact on the health and well-being of a city’s residents. He loves the city in which he lives, and hopes his developments can help contribute to a vibrant growing city on Canada’s beautiful east coast. Danny’s passion for the community extends far beyond the office, and together with his great ability to connect with people on many levels he has been given the opportunity to serve on many boards, advisory committees, capital campaigns and other various volunteer groups. He has served on the board for the Mental Health Foundation of Nova Scotia for 10 years, two of which he spent as Chair of the Board. He has also dedicated his time at the QEII Health Sciences Centre Foundation, Symphony Nova Scotia, and capital campaigns for Sacred Heart School of Halifax and Fountain Academy of the Sacred Heart. His charisma and love of reaching out to community members has landed him another position as Chair of Fundraising for the campaign to build a new Maronite Catholic Church in Halifax. Robert Zed is a business builder, philanthropist, and community leader. He leads Triangle Strategies, a diversified collection of companies in the broad range of healthcare strategy and executive navigation, and event production. With a comprehensive network of affiliations and an impressive blue chip client list, he is past Chair and Founder of Crothall Services and Compass Group Healthcare a world leader in outsourced services. Robert is a partner in a number of businesses including ZedEvents, The RBC Fanfit Challenge and recently joined Deloitte and Aramark as senior counsel. He has assisted many organizations to achieve their strategic performance expectations, to improve accountabilities and outcomes. He is a champion of mental health and wellness in Canada. Recognized for his philanthropic work in numerous social and business ventures, he is an active community leader. He is an honourary trustee of the Mental Health Foundation of Nova Scotia and the IWK Health Centre. He is a board member of the Foundation for the Advancement of Family Medicine of the College of Family Physicians of Canada. He founded A Different Stage of Mind and has been involved for 25 years with the highly successful Nova Scotia Festival of Trees spotlighting mental health. He holds a Masters degree in Health Administration and is a Fellow FACHE - American College of Healthcare Leaders. He is Executive in Residence at Dalhousie University. His awards, boards and community work are notable but some key accomplishments include: Creator and co-Chair of Harnessing Disruptive Change, Canada's first healthcare roundtable on system disruption. Founder of the Robert Zed Award for Emerging Health Leaders, Rock Star Mentor of the Year Canada, Queen's Jubilee Medal, Association of Fundraising Professionals Volunteer of the Year Award, Canadian College of Health Leaders Chair's Award, Nova Scotia Arthritis Society Celebrity Honouree, Canada's Top 40 Under 40, Atlantic Business Magazine's Top 50 CEO and Hall of Fame inductee, Mental Health Foundation of Nova Scotia Vision Award, Mental Health Commission of Canada committee. Robert and his wife Dr. Joanna Zed reside in Halifax, Nova Scotia; they are proud parents to three active young adult children. In 2016, Julie Godin was appointed Vice-Chair of the Board of Directors and named Chief Planning and Administration Officer. In this role, she oversees the development of enterprise-wide policies, programs and processes related to the management of the company and their consistent and high-quality application across all CGI business units. Godin is responsible for ensuring the continuous development of CGI's 68,000 professionals and for upholding CGI's industry-leading track record of delivery excellence for its end-to-end services to CGI's commercial and government clients around the world. She also directs the development and execution of the company's global strategy, and oversees CGI's enterprise IS/IT initiatives and full spectrum of security activities. This appointment follows Godin's role as head of CGI's strategic planning and the company's global human resources function, including executive compensation, succession planning at all levels of the organization, as well as organizational model sustainability to secure organic growth, responsibilities for which she maintains. Before joining CGI, Godin founded Oxygen Corporate Health, a company that manages comprehensive health and wellness programs in the workplace. As CEO, she drove the firm's strategic planning and growth, overseeing all operations and working closely with major clients that included Bell Canada, Air Transat, and the Centre hospitalier universitaire de Québec. Oxygen merged its activities with those of CGI to offer CGI members a complete range of health and wellness services. In 2000, Godin co-founded Fondation Jeunesse-Vie, a non-profit organization that strives to reduce poverty, promote education and improve the health of children and teens in disadvantaged areas. Godin holds a bachelor's degree in kinesiology from the Université de Sherbrooke (1998). Michael E. Roach served as President and Chief Executive Officer of CGI from 2006 - 2016 and became a member of the CGI Board of Directors in 2006. Prior to this, he served as President and Chief Operating Officer of CGI since 2002. Under Roach's leadership, CGI experienced significant growth through the execution of the company's "Build and Buy" profitable growth strategy. Following the August 2012 acquisition of Logica, CGI's global footprint expanded to hundreds of locations around the world with global delivery centres on four continents and 68,000 professionals worldwide. In 2014, Roach was named the Most Innovative CEO of the Year by Canadian Business magazine in recognition of CGI's business model, strategy and ways of fostering efficiency. Prior to joining CGI, Roach served as President and Chief Executive Officer of Bell Sygma Inc., a Bell Canada subsidiary formed to provide services to Canada's full-service telecommunications companies. In 1998, he spearheaded the merger of Bell Sygma with CGI, effectively doubling the size of CGI. Roach's earlier career with Bell Canada spanned 25 years. Roach serves on the National Executive Committee for the Governor General's Canadian Leadership Conference 2017. He holds a Bachelor of Arts in Economics and Political Science, as well as an Honourary Doctorate in Business Administration from Laurentian University in Sudbury. Roach maintains an active involvement in the Montréal community by lending his support to various charitable causes and events. On September 1, 2011, Rémi Quirion, OC, CQ, PhD, FRSC, became Quebec's first chief scientist. As such, he chairs the boards of directors of the three Fonds de recherche du Québec and advises the Minister of Economic, Science and Innovation on research and scientific development issues. Until his appointment as chief scientist, Quirion was the vice-dean for science and strategic initiatives in the faculty of medicine at McGill University and senior university advisor on health sciences research. He was the scientific director of the Douglas Mental Health University Institute Research Centre, a full professor in the department of psychiatry at McGill University and the executive director of the International Collaborative Research Strategy for Alzheimer's disease of the Canadian Institutes of Health Research. Professor Quirion was the first scientific director of the Institute of Neurosciences, Mental Health and Addiction, one of Canada's 13 health research institutes. His work helped to elucidate the roles of the cholinergic system in Alzheimer's disease, of neuropeptide Y in depression and memory and of the calcitonin gene-related peptide in pain and opiate tolerance. Quirion earned his PhD in pharmacology from Université de Sherbrooke in 1980 and carried out his postdoctoral training at the National Institute of Mental Health in the U.S. in 1983. He has over 650 publications in prominent scientific journals and is one of the most extensively cited neuroscientists in the world. He has received several awards and honours, including the Ordre national du Québec (Chevalier du Québec, CQ) in 2003, the Prix Wilder-Penfield (Prix du Québec) in 2004 and the Order of Canada (OC) in 2007. Quirion is also a member of the Royal Society of Canada. In 2015, he was appointed Officer in the Order of Academic Palms of the French Republic, a distinction awarded by the French government that recognizes its contribution to the development of French-Québec relations in research. Ratna Omidvar is an internationally recognized voice on migration, diversity and inclusion. In April 2016, Prime Minister Trudeau appointed Ratna to the Senate of Canada as an independent Senator representing Ontario. Ratna is the founding Executive Director and currently a Distinguished Visiting Professor at the Global Diversity Exchange (GDX), Ted Rogers School of Management, Ryerson University. Ratna is the Co-Chair of the Global Future Council on Migration hosted by the World Economic Forum. She is also a director at the Environics Institute, and Samara Canada. She is the Toronto Region Immigrant Employment Council's Chair Emerita and was the Chair of Lifeline Syria. Peter Herrndorf is President and CEO of the National Arts Centre (appointed in 1999). Previously, he worked for the CBC (1965 to 83) in various positions, including-vice president and general manager of English language radio and television networks, was publisher of Toronto Life magazine (1983 to 99), and served as chairman and CEO of TVOntario (1992 to 1999). Herrndorf currently serves on the board of directors of Luminato, Toronto's Festival of Arts and Creativity; the honourary committee of the Power of the Arts National Forum; and the honourary leaders council of the PuSh International Performing Arts Festival in Vancouver. He is the founding president of the Governor General's Performing Arts Awards Foundation and has served on the boards of numerous other cultural organizations, including the Banff Television Festival, the Canadian Museum of Civilization (now the Canadian Museum of History), the CBC, the Performing Arts Centre Consortium, the Stratford Festival, the Canadian Stage Company, the Canadian Arts Summit, and the Toronto Arts Awards Foundation. He is a former member of the governing council of the University of Toronto and the board of the University of Ottawa. Herrndorf is an Officer of the Order of Canada and a Member of the Order of Ontario. He is a National Champion of the Trans Canada Trail, and the recipient of the inaugural Peter Herrndorf Arts Leadership Award (2015) presented by the national Business for the Arts organization in Toronto. He holds a BA in political science and English from the University of Manitoba, a law degree from Dalhousie University, and an MBA from Harvard University. Lisa Meeches is one of the most dynamic and respected producers in the film industry, and a proud Ojibway from Long Plain First Nation. One of her recent projects, four-time CSA nominee and two-time winner We Were Children, is widely praised by residential school survivors for its power to heal, while general audiences have been moved by its accurate and truthful portrayal of the impacts of Canada's colonial past. Meeches has produced numerous projects to critical acclaim. Among them: more than 150 hours of The Sharing Circle, Canada's longest running Aboriginal television series; Ice Road Truckers one of the most prolific television documentary series in US television history; Tipi Tales, a Parent's Choice award winning children's series; and Elijah, a Gemini Award winning MOW; and the three-times nominated and two-time winner of CSA's JACK. As host of The Sharing Circle, Meeches is a recognizable presence across Canada. Lisa conducts her film industry work through her three companies: Eagle Vision Inc, Meeches Video Productions, and Century Street Distribution. Other Eagle Vision Inc. productions include: Walk All Over Me, which premiered at TIFF and sold to the Weinstein Company, the politically-charged romantic comedy Blue State, and the Academy Award-winning feature film Capote. After studying broadcasting in North Dakota, Meeches began her career in 1986 with the Winnipeg-based Native Media Network. She later began news reporting for Craig Broadcasting Systems in Manitoba and Alberta, where she established a liaison team who connected the newsroom with surrounding First Nations communities. Lisa also devotes considerable time to other causes. Lisa has been critical to the success of the Manito Ahbee Festival since inception 11 years ago where she has acted in the capacity of board chair on a volunteer basis until recently stepping down to assume the role of Executive Director. Through the festival, Lisa is also the Executive Producer of Orange Daisy Project, a multi-tiered social action campaign in support of mental health for teen girls. Lisa also sits on the national board of the Heart and Stroke Foundation. Lisa has been the recipient of many local, regional, and national awards for her exemplary contributions in culture, media, and entrepreneurship. Among her numerous awards and nominations are the 2007 National Aboriginal Achievement Award for Media & Communication, the 2009 YMCA-YWCA Woman of Distinction Award in the area of Creative Communications, the 2009 University of Manitoba's Excellence in Aboriginal Business Leadership Award and the Women in Film and Television 2009 Crystal Award for Mentorship. Currently, Lisa is working on Season II of Taken (takentheseries.com), for APTN and CBC. Season I premiered on September 9, 2016. Taken is a true crime documentary series focusing on solving the mysteries behind Canada's missing and murdered Indigenous women. She is the Executive Producer of the ShowCanada Spotlight Award winning romantic comedy Lovesick starring Jacob Tierney, Jessica Paré and Jay Baruchel, which is set to premiere at the Whistler Film Festival, and have a simultaneous special theatrical release in Toronto. True to her heritage, Lisa practices the customs of her faith and is a renowned champion fancy shawl dancer. Lisa is the mother to two wonderful sons and beautiful daughter. André Lewis has spent the majority of his career with Canada's first professional dance company,accepting the position of Artistic Director in 1996. Since then, Lewis has been the driving force behind the new and innovative works that have dramatically rejuvenated the Company's repertoire. Most recently, Lewis has stepped into the Executive Director role at the Royal Winnipeg Ballet. Lewis has commissioned numerous blockbuster ballets such as Mark Godden's Dracula, Jorden Morris' critically acclaimed Peter Pan, and Jorden Morris' Moulin Rouge - The Ballet. In 2012, Lewis and Atlanta Ballet Artistic Director John McFall co-commissioned The Princess and the Goblin by celebrated choreographer Twyla Tharp. In 2013,Lewis commissioned another outstanding new creation in conjunction with choreographer Lila York. The full-length ballet The Handmaid's Tale was a bold adaptation of the novel by Governor General Award-winning Canadian author, Margaret Atwood. For the RWB's 75th anniversary season,Lewis commissioned Mark Godden to create the groundbreaking work Going Home Star – Truth and Reconciliation. Lewis has staged Rudi VanDantzig's production of Romeo and Juliet in Italy, Greece, France and in 2015 for the Hong Kong Ballet. He has been a judge for the Varna International Ballet Competition, USA International Ballet Competition, and the Youth American Grand Prix. Further, Lewis' work has been recognized through receiving both the Governor General's Meritorious Award and the Jubilee Medal. As a family member (father and brother with Bi-Polar Disorder, a brother with schizophrenia,siblings living with depression, and two suicides in his family) and a recipient of mental health services himself, Chris has been the executive director of the Manitoba Schizophrenia Society since 1995 and has served also as the CEO of the Schizophrenia Society of Canada for the past 10 years. With an earned doctorate from Dallas Theological Seminary, he is a Certified Psychosocial Rehabilitation Practitioner. He received an honourary Doctor of Laws from Brandon University in 2014. As a regional,provincial and national leader and advocate for a transformed, recovery-oriented mental health system (services) he believes mental health concerns should be address from a holistic and person-centred philosophy: bio-psycho-social-spiritual-recovery-empowerment,and community perspective. In 2007 he was appointed to the Board of Directors of the Mental Health Commission of Canada. As a volunteer he has worked on the following MHCC initiatives: Hallway Group, Guidelines for Recovery-Oriented Practice, Guidelines for the Practice and Training of Peer Support, Headstrong Project; and the National Guidelines for a Comprehensive Service System to Support Family Caregivers of Adults with Mental Health Problems and Illnesses, as well as attending many MHCC events,conferences, round tables, webinars, and participating in numerous MHCC surveys since the Commission's creation. Chris has served on numerous local, regional, provincial and national boards including the Mood Disorders Society of Canada, The National Network for Mental Health,Psychosocial Rehabilitation Canada, and the South Eastman Regional Health Authority (Manitoba). He is currently Co-Chair of the Canadian Alliance on Mental Illness and Mental Health. He believes our society and leaders must see mental illness, not merely as a health issue, but as asocial justice issue that addresses the inequities, inequalities and injustices towards those living with mental illness (and their families), who have been ghettoized, stigmatized, marginalized, and disenfranchised through systemic discrimination. Consequently, Chris is a passionate supporter and promoter of the recovery philosophy,peer support workers, the social inclusion of people living with mental illness, and the need to address the social determinants of health, mental health promotion and prevention. Chris lives in Steinbach, Manitoba with his wife Carolyn. Retired Winnipeg Chief of Police Devon Clunis believes one person can make a difference and that together we can change the world. Devon was the 17th Chief of Police in Winnipeg and the first black Chief of Police in Canadian history. He ventured into the policing arena to set an example for minority youth and throughout his 29-year career was fortunate to help lead immense change in Winnipeg, both in terms of crime reduction, but more importantly, cultural and socio-economic inclusion. Devon believes effective policing is foundational to a just and civil society and that transformational leadership can help a society achieve our human potential; creating communities were everyone is safe and healthy. Devon was president of the Manitoba Association of Chiefs of Police, is a member of the Board of Directors of The Canadian Police Knowledge Network and a member of the Poverty Reduction Council of Winnipeg. He is the recipient of the Lieutenant Governor’s Award for the Advancement of Inter-religious Understanding in 2017 and continues to work to advance community safety in Winnipeg, and across Canada. Devon and his wife Pearlene co-authored the children’s book, The Little Boy from Jamaica: A Canadian History Story, which illustrates the hope and potential that Canada holds for each child. Dr. Arnold is the inaugural Director of the Mathison Centre for Mental Health &Education and an Associate Professor in the Departments of Psychiatry and Medical Genetics at the University of Calgary. He is also a child and adolescent psychiatrist, working at the Alberta Children's Hospital. Dr. Arnold holds the Alberta Innovates Health Solutions Translational Health Chair in Child and Youth Mental Health. His medical and graduate training took place at the University of Toronto, and subsequent to this he was a faculty member at U of T and the Hospital for Sick Children from 2006 to 2015. His research focuses on genetics and neurobiology of childhood neuropsychiatric disorders and risk and resilience factors in childhood mental health. His work has been funded by major external grants from the Canadian Institutes of Health Research, the National Institutes of Health and the Ontario Brain Institute. Lorna Schultz Nicholson has published over 30 books, including children's picture books, middle grade fiction, young adult fiction and hockey non-fiction. Her One-2-One Young Adult series features themes of diversity, inclusion and global awareness. She is a frequent presenter at conferences and tours the country speaking to students of all ages about literacy and diversity. Lorna lives in Edmonton with her husband Bob Nicholson, CEO of Oilers Entertainment Group, and two dogs, a whiny bichon shih tzu, and a sort-of-naughty puppy she rescued from Mexico. Maureen Dodig was born and raised in the greater Boston area. She earned an AB in English and American Literature and Language from Harvard University and worked in the book publishing business in New York. Maureen returned to Boston to attend Boston College Law School. Upon graduation, she clerked for Justice Ruth Abrams of the Supreme Judicial Court of Massachusetts and was then an associate at the Boston law firm Palmier & Dodge where she worked first in litigation and then in labour and employment. Maureen left the practice of law when she moved to Toronto. She and her family moved to New Jersey and then to London, England and returned to Toronto in 2002. She has four children and has been a full-time mother to them since 1997. Dr. Goldbloom was born in Montreal and raised in Quebec and Nova Scotia. He completed an honours degree, majoring in Government, at Harvard University and then attended the University of Oxford as a Rhodes Scholar where he obtained an M.A. in Physiological Sciences. He trained in medicine and psychiatry at McGill University and is a Professor of Psychiatry at the U of T. Dr. Goldbloom's activities have been recognized and awarded by his peers and students. He has authored numerous scientific articles and book chapters and has provided talks and lectures to student, professional and public audiences. He is the editor of two textbooks in psychiatry and co-author with Dr. Pier Bryden of the best-selling book How Can I Help? A Week in My Life as a Psychiatrist. He maintains an active clinical and teaching role at CAMH where he serves as Senior Medical Advisor. He served as Vice-Chair and then Chair of the Board of the Mental Health Commission of Canada from 2007 to 2015. In addition to his professional activities, Dr. Goldbloom is past Chair of the Board of Governors of the Stratford Shakespeare Festival of Canada. He is an Officer of the Order of Canada. Medhat Mahdy is the President and CEO of the YMCA of Greater Toronto, and President of YMCA Ontario. Striving to achieve its vision of making our communities home to the healthiest children, teens and young adults, the YMCA is building new Centres of Community across the region. Evidence shows sedentary lifestyles, poverty, social exclusion and illiteracy affect growing numbers of people in the GTA. As a charity, the YMCA is committed to providing greater access to programs that support individuals and families going through challenging transitions. To his role as President and CEO, Medhat brings a deep understanding of the social determinants of health and a conviction that we owe every child the opportunity to grow stronger every day in spirit, mind and body. Medhat has an extensive background in charitable sector leadership and strategy developed during a 40-year relationship with the YMCA as a member, volunteer, donor and leader. He has served in a variety of leadership capacities at the YMCA of Greater Toronto and YMCA Canada; and has been the recipient of a number of strategic and voluntary sector designations from York, McGill, U of T, Harvard and Queen’s. He holds a Bachelor Degree from the U of T.
Welcomed by the YMCA as he arrived in Toronto as a young immigrant, he was born in Cairo, Egypt and has lived in Alexandria, Egypt, Karlsruhe (Germany), and Pittsburgh, Pennsylvania. He is a tennis and classical music fan. Kelly Meighen received her BA from the University of Western Ontario (1971) and has received Honourary Doctorates from Mount Alison University in 2000, the University of New Brunswick in 2003 and Western University in 2013. She is Chair of CAMH Board of Trustees and is the Past Chair of the CAMH Foundation Board. Kelly is President of the T.R. Meighen Family Foundation, a private family foundation with a focus on supporting mental health, youth-at-risk and city building. She has been a board member since 1980. She has been Chair of McGill University's Academic Advising and Mentoring Advisory Board. She is a founding member of the Board of Jack.org, a youth led national charity focused on mental health. She was Chair of the Stratford Shakespeare Festival from 2005 to 2007. Kelly has been honoured with the Association of Fundraising Professionals Philanthropist of the Year Award, Western University's Dr. Ivan SmithAward, and the Queen's Golden Jubilee Medal. With her husband, the Honourable Michael Meighen, Kelly was the recipient of the Yorktown Family Services 2013 Humanitarian Award for Community Service. Milroy is President of a family holding company and a Director of Generation Capital. Milroy retired from BMO Financial Group in January 2015. He acted as senior advisor to the CEO of BMO Financial Group from November 2014 to January 2015. From March 2008 to December 2014, Milroy served as CEO of BMO Capital Markets, where he was responsible for all of BMO Financial Group's businesses involving corporate, institutional and government clients globally. Over the course of 21 years with BMO, Milroy held progressively senior positions within the investment banking group. From August 1988 to June 1993, Milroy worked in the Mergers and Acquisition group of a U.S. investment banking firm in New York and Toronto. Prior to that, he spent a year with a Canadian investment banking firm. He began his career practicing securities law in a Toronto-based law firm. Milroy is director of Restaurant Brands International Inc. He is Chair of CAMH Foundation and the Campaign Co-Chair for CAMH's Breakthrough Capital Campaign. Additionally, Milroy is on the Board of Trustees of the Vancouver Art Gallery, the Board of Trustees of the Pacific Parkinson's Research Institute and on the Capital Markets Institute Advisory Board. Milroy holds a Master of Law from Cambridge University, an LLB from Dalhousie University, and has completed the Advanced Management Program from the Harvard Business School. He also holds a Bachelor of Arts from McGill University and a Bachelor of Law from Cambridge University. Milroy is a member of the Law Society of Upper Canada. Michael Wilson is the Chairman of Barclays Capital Canada Inc. Based in Toronto, Wilson joined the firm on June 14, 2010 and is responsible for managing Barclays Capital's client relationships in Canada. Wilson was Ambassador of Canada to the U.S. from March 13, 2006 to October 9, 2009. Prior to taking up his position as Canada's 22nd Ambassador to the U.S., Wilson was Chairman of UBS Canada, an operating division of UBS AG. Before joining UBS in July 2001, Wilson was responsible for RBC Financial Group's Institutional Asset Management business. He also served as a Vice-Chairman of RBC Dominion Securities, responsible for senior client relationships and advice to both Canadian and international companies and governments. Following his service in government, Wilson launched Michael Wilson International in 1993 to offer corporate clients advice on international trade and related issues. Wilson was elected to the House of Commons in 1979. In September 1984, he was appointed Minister of Finance and remained in that position until May 1991. He then became Minister of Industry, Science and Technology and Minister for International Trade. In this latter position he had responsibility for the NAFTA negotiations. During his tenure as a member of the Cabinet, Wilson represented Canada at the G-7, IMF, World Bank, OECD, GATT and other international Ministers meetings. Prior to his career in public life, Wilson's career was in investment banking with various responsibilities in corporate, government and international finance. He was also Director of a number of companies including BP plc and Manulife Financial. Wilson has been active in a number of professional and community organizations, including NeuroScience Canada Partnership, CAMH, the Canadian Cancer Society, the Canadian Council for Public-Private Partnerships and the Canadian Coalition for Good Governance. He has received a number of awards for his work in these fields, as well as from the Conference Board of Canada, The Public Policy Forum and The Rotman School of Business. Wilson is a Companion of the Order of Canada and has honourary degrees from the University of Toronto, York University and Trinity College at the University of Toronto. Wilson is married to Margie. They have two children and five grandchildren. He also finds time for golf and powder skiing. Dr.Catherine Zahn is President and CEO of CAMH, Canada's leading mental health hospital. She received her MD from U of T and is a Professor in the U of T Faculty of Medicine. Recent recognition includes appointment as a Member of the Order ofCanada, Doctor of Laws degrees (honoris causa) from Western University and Ryerson University and the Bryden Award for Outstanding Achievement (York University). She has made numerous contributions to healthcare in Ontario and she is a champion for integration of psychiatry and neuroscience, passionately working to steer mental health into the mainstream of health care. Stephen Liptrap is President and Chief Executive Officer of Morneau Shepell. His responsibilities include the development and execution of the company's overall strategic direction and leading the organization to achieve both its short-term and long-term business results. Liptrap joined the company's senior executive team in 2008, bringing with him more than 25 years of senior executive experience in the high-tech, consumer packaged goods and retail sectors. In 2010, he was appointed Executive Vice-President and General Manager of Morneau Shepell's largest business unit, Employee Support Solutions. In July 2016, Liptrap was appointed Chief Operating Officer, responsible for leading the company's business operations and functions. Liptrap has served on the HR Committee for the 2015 PanAm Games, the Canadian Board of Directors for NCR and the Pension Board for Europe for a large technology company. He is a frequent speaker and thought leader on HR issues facing organizations today. A member of the Human Resources Professionals Association, Liptrap holds an Honours Business Administration degree from the Ivey Business School, Western University, and is a recent graduate of the Harvard Advanced Management Program. Dr. Patrick Smith began his tenure as the Canadian Mental Health Association’s National CEO in April 2016. With a PhD in Clinical Psychology, he came to CMHA from Renascent one of Canada’s leading providers of abstinence-based, residential addictions treatment where he was also CEO. Prior to this, he was Vice-President of Research, Networks and Academic Development at the B.C. Mental Health and Addictions Services of the Provincial Health Services Authority in British Columbia from 2005 to 2010, and was founding Head of UBC’s Addiction Psychiatry Program. From 1997 to 2005, Patrick was Vice-President of Clinical Programs at CAMH, and was Head of the Addiction Psychiatry Division at the University of Toronto. He received his PhD in 1991 from the University of Nebraska and did his internship and National Institute on Drug Abuse postdoctoral fellowship at the Yale University School of Medicine from 1990 to 1992. He was also a Fulbright Scholar at the University of Canterbury in Christchurch, New Zealand. In addition to his clinical and research background, Patrick’s primary focus for much of his work has been mental health and addictions recovery and health systems planning and development. As a founding member of the Canadian Executive Council on Addictions, Patrick represented Canada as a delegate to the United Nations Committee on Narcotic Drugs (UN-CND) in both 2004 and 2009 and co-chaired the development of Canada’s National Addictions Treatment Strategy. Dr. Faranak Farzan is the Chair in Technology Innovations for Youth Addiction Recovery and Mental Health. 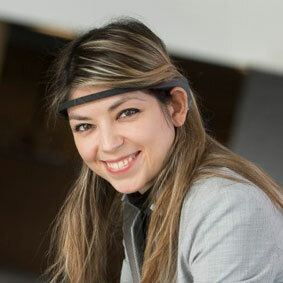 She is Assistant Professor in Mechatronic Systems Engineering at Simon Fraser University in Surrey, B.C., and an affiliated scientist with the Centre for Addiction and Mental Health and the Temerty Centre for Therapeutic Brain Intervention in Toronto. Dr. Farzan has obtained her Bachelor in Electrical and Biomedical Engineering with a minor in Psychology from McMaster University. She completed her PhD in the Collaborative Program of Biomedical Engineering and Medical Sciences at University of Toronto. She obtained her Postdoctoral Training in Cognitive Neurology from Harvard University Medical School. Prior to her current appointment as Chair in Technology Innovation for Youth Mental Health, Dr. Farzan served as Assistant Professor of Psychiatry at University of Toronto from 2013 to 2017. This multi-disciplinary background has been crucial in enabling her to realize and lead a unique research program aimed at implementing innovative solutions for discoveries in mental health with a focus in youth within three areas: the development of novel technological solutions to safely, reliably and inexpensively investigate brain health; the development of innovative and computational strategies to discover neuromarkers of brain health; and the translation of findings into clinical research and practice through close collaboration and partnership with health authorities, industry, and the mental health and addiction recovery community, particularly John Volken Academy. Dr. Farzan is also the Electrophysiology lead of Canadian Biomarker Integration Network in Depression. Dr. Farzan has authored over 50 journal articles and is recipient of several prestigious grants and awards from NSERC, CIHR, NARSAD, Ontario Brain Institute, GRAMMY Foundation, and Brain Canada. As a philanthropic leader who is deeply committed to advancing child health, Lisa is an influential and passionate advocate for BC Children's Hospital. She was a governor from 2007 to 2012 prior to joining the board of directors and has been instrumental in shaping the direction of the Foundation. At BC Children's Hospital Lisa is an honourary member of the selection committee for the Hudson Scholars in Pediatric Medicine, a mentored career development program created by the in augural Hudson Chair in Pediatric Medicine, for which she is the benefactor. Lisa was a member of the Foundation's Campaign Leadership Cabinet which spearheaded and led a $200 million campaign to build the Teck Acute Care Centre and establish Child Health BC. Lisa has volunteered with the Canadian Cancer Society, Camp Goodtimes, Science Worldand various organizations in which her children are involved. Lisa has a BA in anthropology and international development from McGill University. Shegrew up in Toronto and has lived in Vancouver for over 20 years. When Lisa first moved to Vancouver she worked for large conferences and later founded an environmental management company. Lisa and her husband, Mike, are the proud parents of four daughters. Retired NHL player and business owner, Mike Hudson is committed to advancing child health. He is a member of the Ronald McDonald House BC Board. Mike is on the Board of Governors of York House School, and is head of its Major Gifts Committee where he recently chaired the School’s successful $15 million capital campaign. Mike has also worked tirelessly in support of Camp Goodtimes, a part of the Canadian Cancer Society. Mike is the father of four young girls and lives in Vancouver with his wife, Lisa. He remains a sports enthusiast, playing hockey, tennis, skiing and hiking in his free time. Chantelle Wong is a co-founder of Pink Tank, a team of creative, community minded strategists providing "Life Altering Ideas" in the for profit and non-profit sectors. For the past decade, she has applied her experience and network as Vancouver Opera's Overture Gala co-chair, Children's Wish Foundation's Wish Gala co-founder, participant in the Dalai Lama's Delhi Dialogue, co-founder and committee co-chair of An Evening to Bring Back Hope, and advisor to The African Children's Choir. Chantelle is a tireless fundraiser and heartfelt advocate for the causes and organizations she is passionate about. George Wong has been engaged in real estate project marketing and sales since 1991, beginning his journey with the 1000 Beach Avenue development in downtown Vancouver. Between 2003 and 2008, George formed Platinum Project Marketing Group, now Magnum Projects Ltd., where their volume was consistently in the top or second position of pre-construction sales in BC. George has been well recognized as a project marketer by the developers and the real estate community for his ability to formulate master strategies that are market driven, especially in the area of residential and commercial strata pre-sale projects. As a revered and well-known industry expert, George is seen and heard repeatedly in the local media, including radio interviews on CKNW, television appearances on CTV and CITY TV and articles in high profile publications including Vancouver Sun and Business in Vancouver. George is a regular speaker at Urban Development Institute and CMHC functions to update real estate related disciplines in what is occurring in the market place. Prior to real estate marketing, George spent 11 years in Canadian Bank corporate lending. He holds a Bachelor of Commerce degree from UBC and a Master's Degree in International Management from the American Graduate School of International Management in Arizona (Thunderbird). A Canadian who is making a difference in mental health. The 150 Leading Canadians for Mental Health initiative with friends and family so no one is missed! To be emailed when the final list and stories are released. To support the movement for change for mental health.